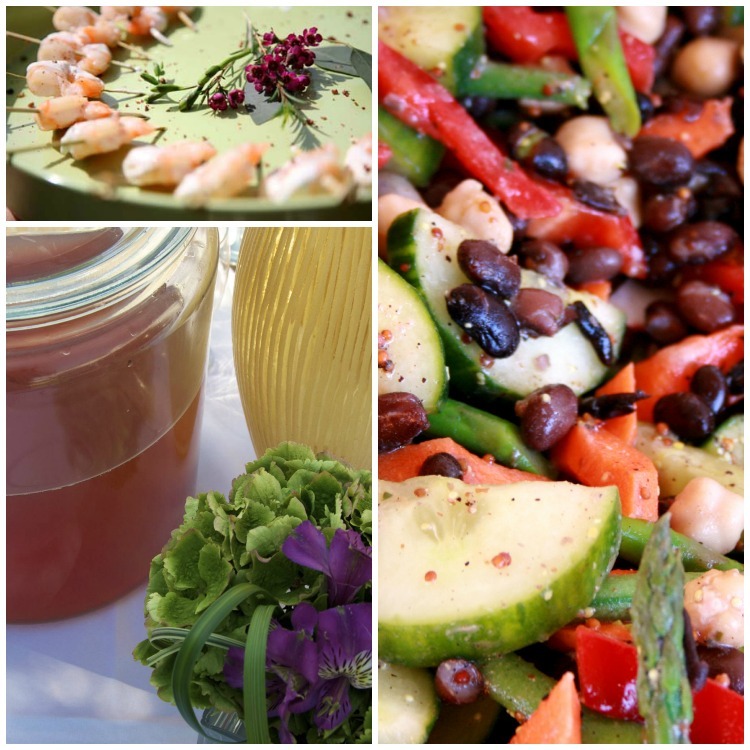 At Devour Catering we have noticed that the cocktail dinner style of wedding reception, also known as a 'food bar' reception has become much more popular in the last few years. Many people have questions about this style of reception so we thought we would help you out with some tips and questions that will help you make your reception fabulous. Hors d'oeuvres must be both beautiful and delicious especially when the guests are all designers! We were so lucky to be the Calgary caterer for a fabulous event hosted by Western Living Magazine again this year at The Art Gallery of Calgary. The annual Designers of the Year competition celebrates the best new designs in Western Canada, as judged by Canada's foremost designers and architects. The celebration hosted in Calgary featured the best in Calgary design. We were honoured to be one of the sponsors of the of the evening celebrating so many talented people who create such inspiring and beautiful spaces and objects. Summertime....and parties are easy! Enthusiastic hospitality, amazing food, fun games, and take-away treats make it a snap!Summer solstice is just around the corner and school is nearly out for the summer. Two wonderful things to celebrate! An elegant evening was enjoyed by all at the Calgary Opera Gala . A theatre lobby beautifully transformed into black tie luxury! Life was definitely on the sweet side for the guests at this year's Calgary Opera Gala. This fundraising dinner is always themed to the Opera and this year was an Italian theme inspired by La Traviata.